Washington Post: FDA Pressured to Combat Rising “Food Fraud” –March 30, 2010 (Print: Page A1) Online Link. In a nutshell, what is labeled ‘extra virgin olive oil’ on the grocery store shelves may actually be modified with “low-grade soybean oil, colored with chlorophyll and flavored with beta carotene”. We could get into a long discussion on supply and demand, and how Italy’s consumption plus the exported product totals far more more olive oil than they produce—and whether the junk is dumped in the U.S. Instead, let’s look at two methods of production and bottling. While olives are harvested between October and January, in Italy, the pipeline from plant to grocery store must be continuously supplied throughout the year. What do you do if you don’t have enough supply? Do those producers modify their products? One wonders. At Olio2go: our suppliers run out. The harvest is the harvest. They pick, press, and bottle—most often, on their own estate. The pipeline is not continuous throughout the year. With each coming harvest we do our best to assess our needs for the coming year. As we approach summer and place additional orders with our producers, they often can’t be filled. There’s no more oil. So, when you are staring at the shelf in the grocery store, it is fair to consider the authenticity of the mass produced product. As you consider the label and the price, give thought to journey from field to store. On this Sunday morning, The Washington Post’s feature story in Travel appeared to be about Hoboken. In reality four stories had elements of Italy! Below the fold, Baroque and Happy in the Noto Valley, covered the Ragusa area of Sicily. Going Our Way: Braving the Old Country on Your Own, featured 9 days on the road in Sicily (note to the Post: why no map?). The Navigator: When in Rome, Watch Your Driving, revealed nasty nasty parking tickets and other vehicle violations arriving months after pleasant trips in Italy. And the Hoboken article? All about Buddy Valastro (aka TLC’s Cake Boss), the Italian American cake baker in his family’s 100year old bakery in Hoboken (Carlo’s), and jaunts to his friends’ locations: Picolo’s Cheesesteaks, and Fiore’s Deli. Ah, the interweavings of Italian American lives, with cannoli and mozzarella in America. The Navigator piece also featured Kathy McCabe, our friend who publishes the Dream of Italy newsletter. 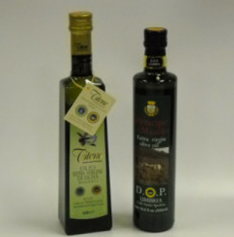 Many Olio2go customers have received sample issues with their fantastic olive oil deliveries! Jimmy Fallon, Mario Batali Cooking Video from New Yorker Mario Batali on Jimmy Fallon made tasty Fettucine with Lobster and Budding Chives…but what’s the olive oil??!! Why, that’s Tenuta di Capezzana Extra Virgin Olive Oil. Thanks to our friends at Manicaretti for finding this! Both! We have two award winners! From Umbria and Sicily, we have two of the award winners from Sirena d’Oro di Sorrento 2010— and they are already in stock at our Olio2go warehouse. The Menzioni de Merito and Category Finalists are linked for your full review. Principe di Mascio DOP and Titone Biologica DOP, have both received recognition from the Sirena d’Oro di Sorrento olive oil awards, just announced this past week in Naples. These 2010 Awards are the first for the 2009 harvest extra virgin olive oils. Principe di Mascio DOP received a Menzione of Merit as well as being named a Finalist in the Fruttato Medio category. 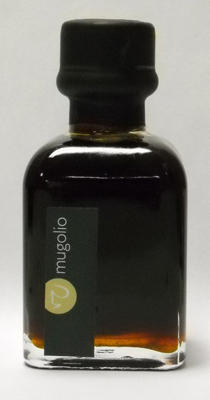 This terrific oil is produced in Umbria, in the area of Colli Assisi – Spoleto. This is the second year in which we have carried this lovely and well-crafted extra virgin olive oil. You can read more about it and purchase it here. Titone Biologica (Organic) DOP, also received the Menzione of Merit designation, and was named a Finalist in the Fruttato Intenso category. Titone has long been among our favorite extra virgin olive oils. It is certified organic and brings forth the fullest flavors of Sicily. It is from the DOP area known as Valli Trapanesi, far to the west in Sicily. Of course, Titone is available for prompt transportation to your home or office at Olio2go.